Known as ‘The Hollywood 2-minute facial’, skin care doesn’t get much more 'cult' than Kate Somerville’s ExfoliKate – which has, at last, made its much-anticipated jump across the pond, landing straight into our Hall of Fame for its exclusive online debut. A dual-action exfoliator, this bestselling formula features both physical and enzymatic exfoliants (including lactic acid and fruit enzymes) to remove dulling dead cells and uncover unrivalled radiance, delivering safe, ‘fresh from the skin clinic’ results from the comfort of your home. 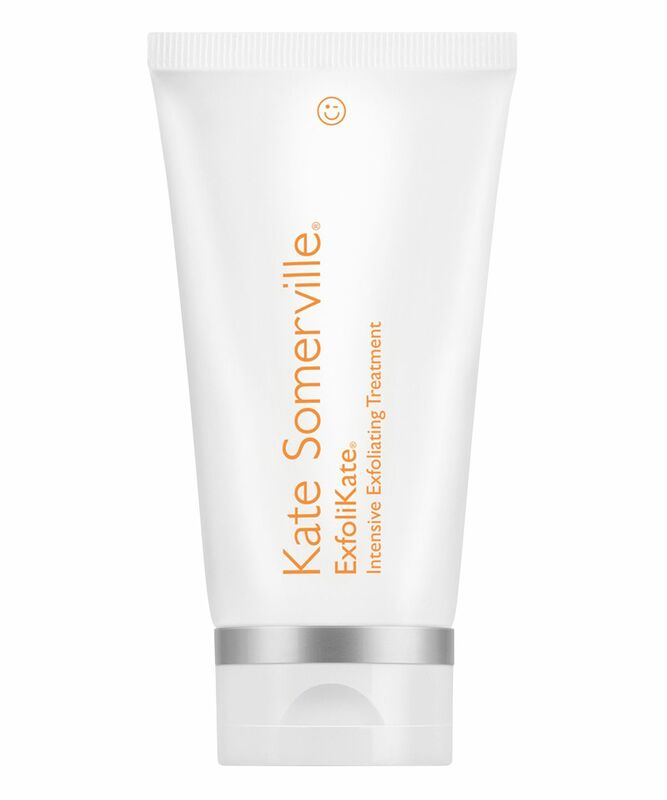 Known as ‘The Hollywood 2-minute facial’, ExfoliKate is Kate Somerville’s bestselling, dual-action exfoliator, which delivers incredible results in as little as one use. The secret to a glowing, ‘fresh from the skin clinic’ complexion lies in the advanced ingredients used in this formula. Papaya, pineapple and pumpkin enzymes (Kate’s ‘three Ps for perfect skin’) as well as natural alpha hydroxy acid, lactic acid, work to counteract dullness, dryness and uneven skin tone and texture by loosening and sloughing away dead, dulling cells to reveal the beautifully balanced, even radiance beneath – without drying. Alongside this enzymatic exfoliation, gently scrubbing natural ingredients provide physical exfoliation, while soothing aloe vera, antibacterial honey and antioxidant vitamin E soften skin and calm any potential irritation. Finally, rosewood and cinnamon extracts combine to reduce the appearance of fine lines and wrinkles. Massaged in for 30 seconds and left on for up to two minutes, you’ll get gorgeously glowing in no time. Use once or twice a week, AM or PM. 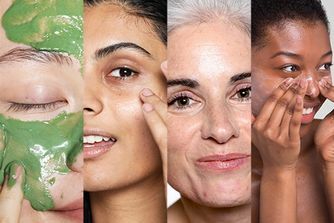 Apply a thin, even layer to a clean, wet face, massaging in a circular motion for 30 seconds. Leave on for up to two minutes. This product may cause the skin to tingle and flush slightly for a short time. Irritated my skin the first time I used it, but then I started using it once a week right after a hydrating gel cleanser and it was great! i only keep it for 30 seconds though as my skin is a bit sensitive. it does make my skin feel super soft. I don't glow unless I use this, twice weekly. An excellent tool for exfoliation, the skin after it is smooth, smooth and shining with a blush, but in this tool the main moderation it needs to be very slightly distributed on wet skin. Not suitable for people with sensitive skin and those who do not like bright , ethereal smells. Very economical as many of the tools of the brand. I don't usually go for such hyped products from across the pond so started off with the Kate Introduction kit and immediately felt a big difference in the softness and clarity of my skin. I am used to peels so this wasn't burning my face off, but could feel it working. Four stars - deducted one star as it is very pricey for 60ml. This is the best exfoliator I have used! It tingles and feels warming and gives the best glow and leaves the skin so smooth! It's expensive but a little bit goes a long way and it's worth every penny. I bought this mask after seeing Caroline Hirons talking about the brand and after reading the great reviews I finally bought it. It’s quite strong, one of the more stingingly products that I’ve Ever used. The result is lovely and my skin looked brighter and more even, I will re-buy this mask with the following cleansing who’s also great. This is the BEST exfoliating scrub I have ever used. It tingles slightly on application but it's worth it when your skin feels so soft after. Cannot rate this product enough. This is one of the best exfoliaters on the market. Exfolikate walks the fine line of slothing the dulling cells without aggravating your skin, using both chemical and physical exfoliating ingredients. The grains are just the right size and texture to really get into the crevices without scratching, for an instantly smoother, brighter complexion. A really satisfying product to use. Beware - Irritation and Breakouts. Patch test if you want to try it. This product gets a one-star review on Paula Begoun’s Beautypedia, and having tried it and suffered a burning face and irritation breakout all around the mouth and one cheek, I can see why. It is highly fragranced with photosensitive essential oils like bergamot and citrus, and has a dangerously high concentration of lactic acid, and plastic microbeads! My skin took about a week to recover, my nose was truly burnt. Do not recommend, obviously, but patch test if you must try it. Best exfoliating mask out there! This is like an exfoliation bomb! It has both beads and strong acids in the formula. I have oily sensitive skin and I enjoy both abrasive physical scrubs and chemical exfoliator's but when mixed together into one product it's a bit much. It smells very good and feels effective when applied but I can't keep it on my skin for those two minutes because it burns so bad. I only do 30 seconds and I'm not sure that the results are worth it. I suspect it dried me out and gave me flaky skin with patches. However, on my mum who is 50, it works beautifully and gives her bright, smooth, tight skin. This was love at first use - I adore the rich, spicy smell, and it's a really pleasant product to apply. However, what I really love are the effects - smooth skin, pores minimised, and a lovely glow left behind. My new holy grail of exfoliators. I just love love love This product! It’s the best exfoliating product on the market! I bought it together with the exfolikate cleanser and it’s also amazing. Everyone needs to buy this product. In love! I received this as a sample in my cult goody bag and I'm hooked. I have recently had a bad time of the month break out and they were at the stage of being dry and flaky (sorry for the graphic image) so I thought I'd try this and see if it helps my foundation go on smoother the next day instead of being a mess and boy did this thing work. It tingled but didn't burn, and the grain texture was just right when I washed the product off I was amazed to see all the dead dry stuff off my breakouts just rubbing off Into my face cloth. I don't care how much this costs I will be buying before my sample runs out, the great thing is I barely used any for a whole treatment.